Before Ruth Bader Ginsburg, Sonia Sotomayor and Elena Kagan, there was just one woman cloaked in the black robe of the United States' highest court. 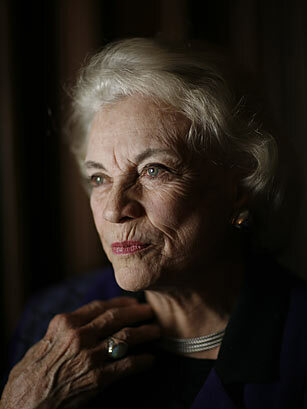 Fulfilling a campaign promise to break that gender barrier, President Ronald Reagan nominated Sandra Day O'Connor in 1981. The former Republican Arizona state senator was unanimously confirmed by Congress, ending 191 years of the court as an exclusively male institution. Though she was nominated by a Republican President, O'Connor did not always tow the party line. In her 24 years on the bench, O'Connor was often the court's crucial swing vote, determining 5-4 rulings on important cases involving abortion, affirmative action, election law, sexual harassment and the death penalty, among others. Her tenure was especially meaningful for the woman who, though she finished third in her class at Stanford Law in 1952, could not find work at a law firm upon graduation due to her gender. She said upon her confirmation, "I think the important fact about my appointment is not that I will decide cases as a woman but that I am a woman who will get to decide cases." See TIME's 1981 cover on O'Connor joining the Supreme Court.